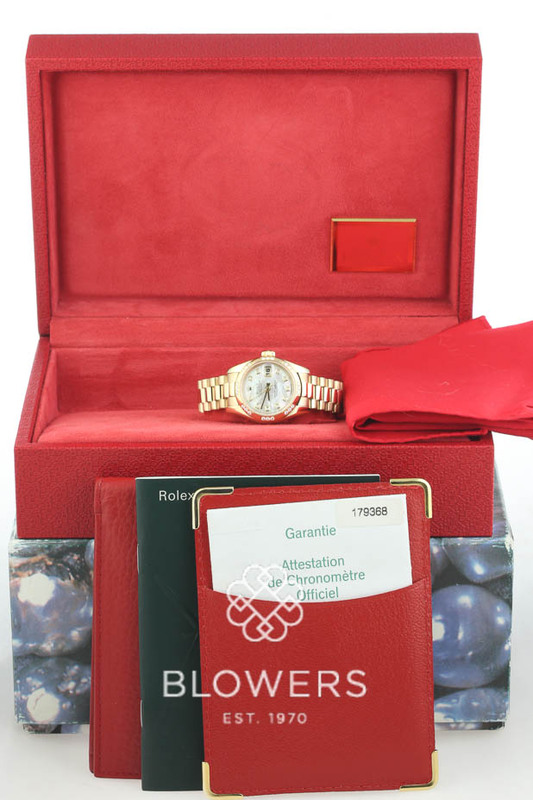 18ct yellow gold Rolex Oyster Perpetual Lady-Datejust model 179368. 26mm case diameter water resistant to 100 meters. Automatic chronometer movement. Mother of Pearl dial with diamond dot hour markers. Diamond set bezel. 18ct President bracelet with concealed clasp and bark finish. Box and Papers dated February 2004. SKU: 30-88-108. Categories: Datejust & Date, Ladies, Rolex.